Depart Kalbarri and head north, low and parallel to the coast, past the impressive Zuytdorp Cliffs where the Dutch merchant ship sunk in 1712. Next, fly past Womerangee Hill, which at 900 feet is the highest part of the coast. Then fly below cliff level where the views are spectacular and allow guests to take in every possible detail. After flying over the peninsular, to the south of Monkey Mia, viewing the dark blue ocean merging with the shallow waters of Shark Bay, landing at Denham Airport. 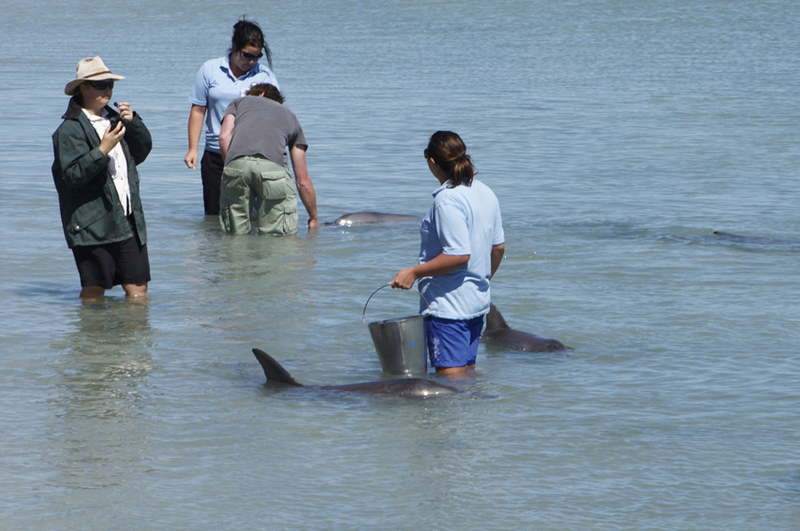 A short drive from there airport is Monkey Mia where you will enjoy two and a half hours on the white sandy beach with shallow waters as well as experiencing the beautiful Bottle-Nose dolphins being fed and playing in the waters. Return to Kalbarri, approximately 6 hours later via Eagle Bluff, a spectacularly high cliff that overlooks the Denham Sound near Shark Bay.